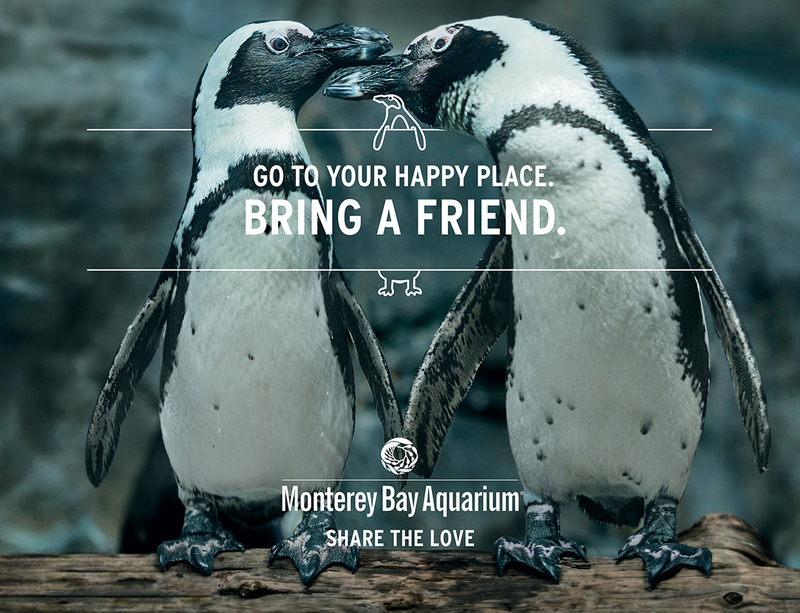 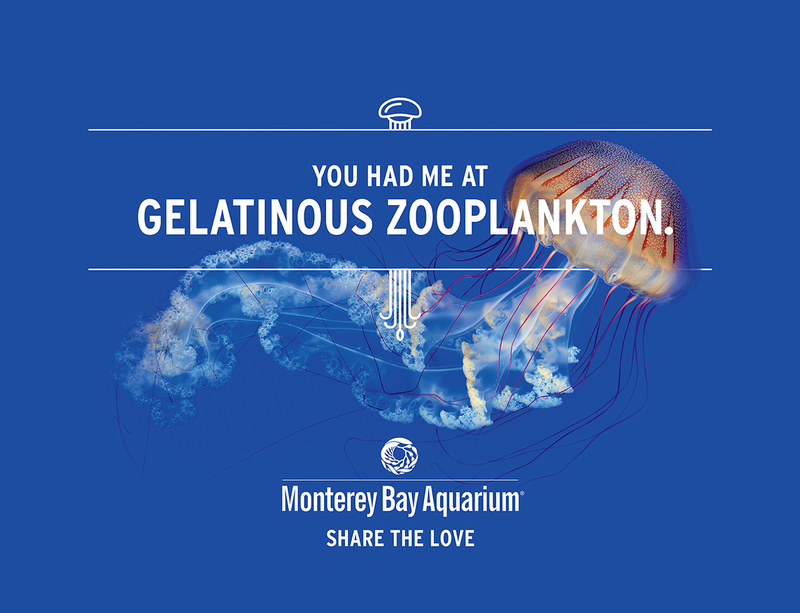 We got the opportunity to extend Monterey Bay Aquarium’s long-running “Share The Love” campaign. 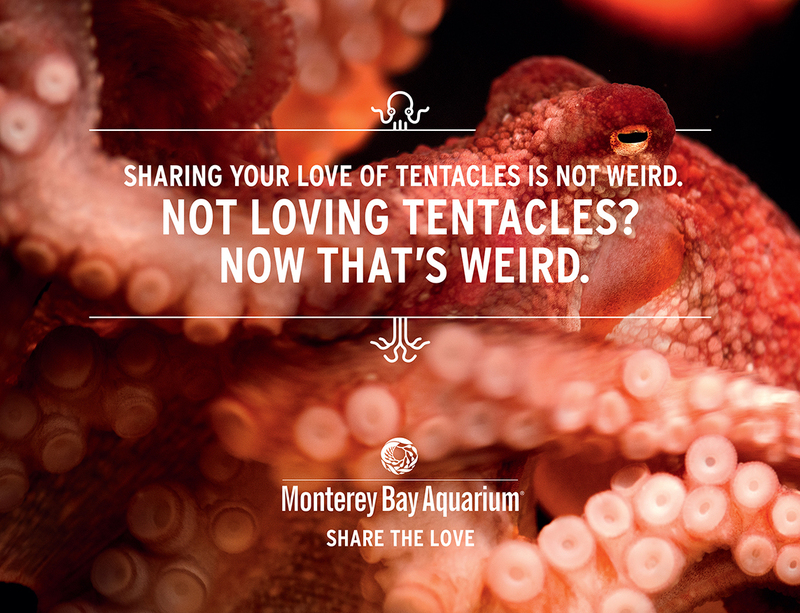 The campaign has always had amazing photography thanks to the aquarium’s deep library of images but it lacked a sense of fun and really did not do much with “Share The Love” as a concept. 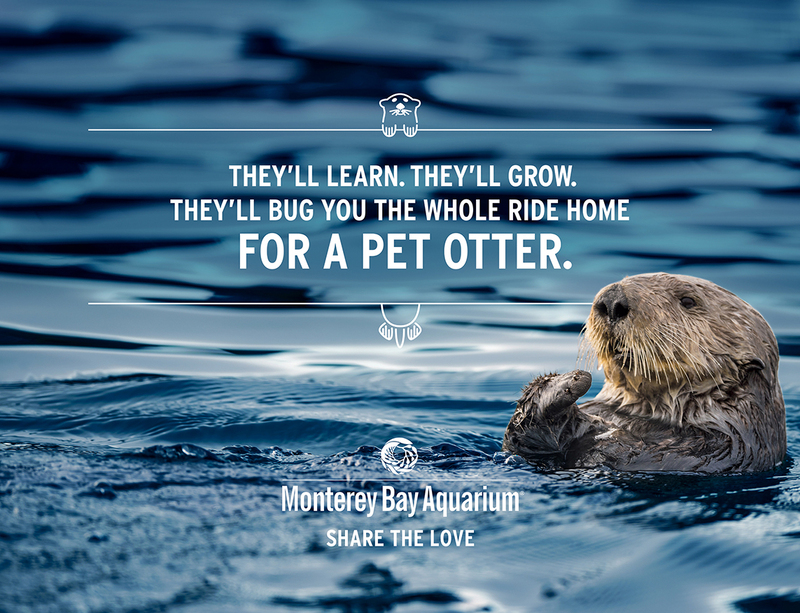 We embraced “Share The Love” in our headline writing and made sure the tone was light and clever. 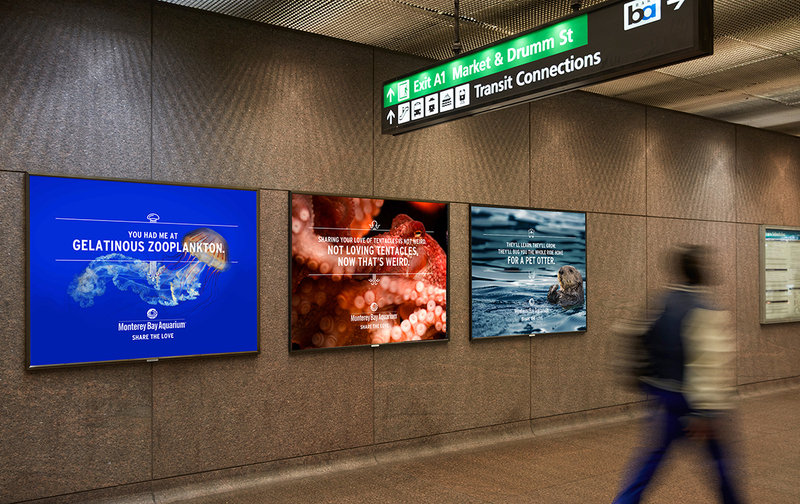 In order to inject more personality visually, we created a set of custom illustrated marine creatures and integrated them into the headline treatments. 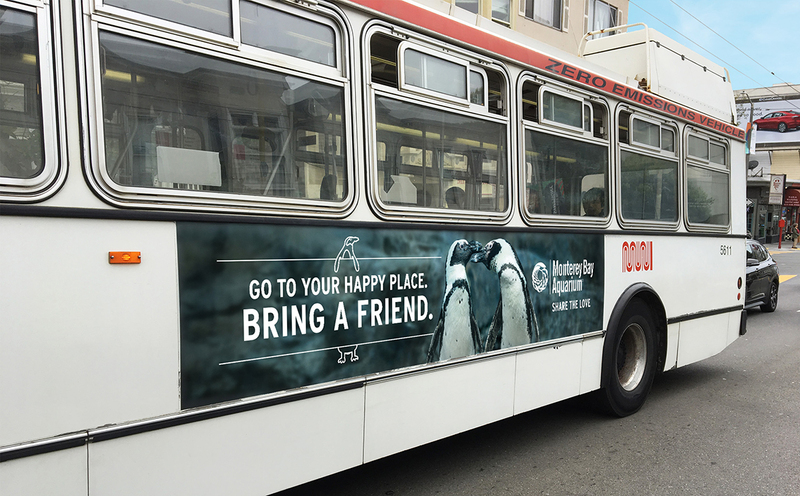 This gave the campaign additional legs as we were no longer just leaning on the photographs. 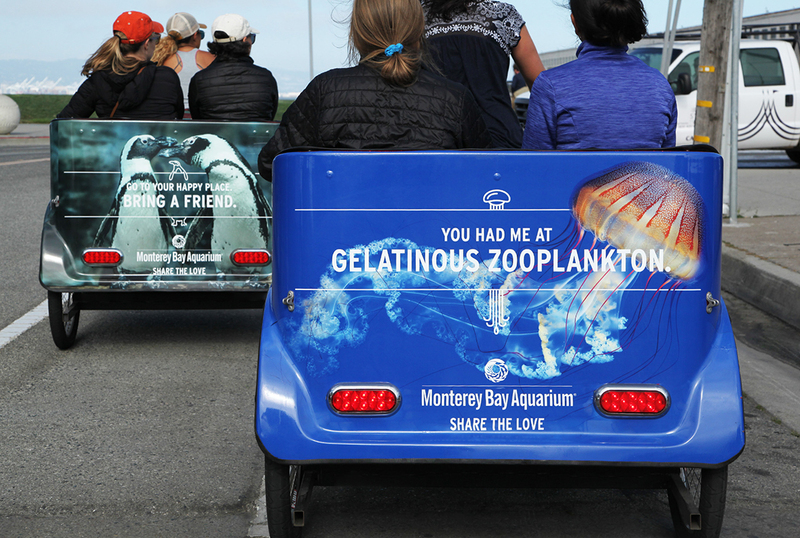 The campaign ran on buses, pedicabs, and in digital banners. 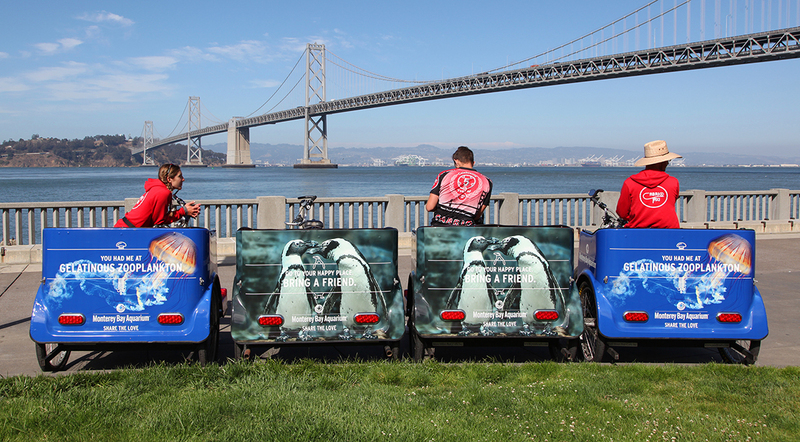 In addition, it was part of a Caltrain station takeover and a Powell BART station takeover.